As September 11 approaches, keep those who mourn and hurt in your prayers always, but especially during this time. Bear one another's burdens. I had to replace my Mercy BAND (bear another's name daily), lost it in a military move, but I replaced it with the same name as I got right after 9/11 happened. The same name I wore on my wrist on my wedding day, and so many days in between. 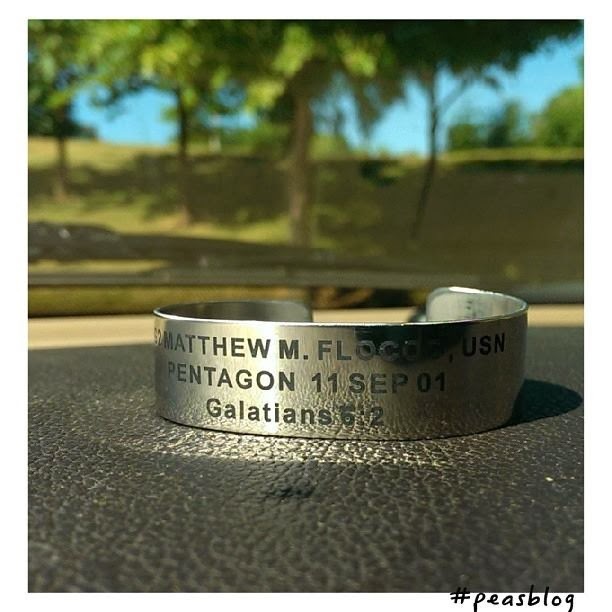 I don't know AG2 Matthew Michael Flocco, or his family, but they are prayed for. Praying for peace, comfort, and love to surround them.